6.15.2013. We are in North Dakota because everyone says they hated the drive through it. We had to see for ourselves. 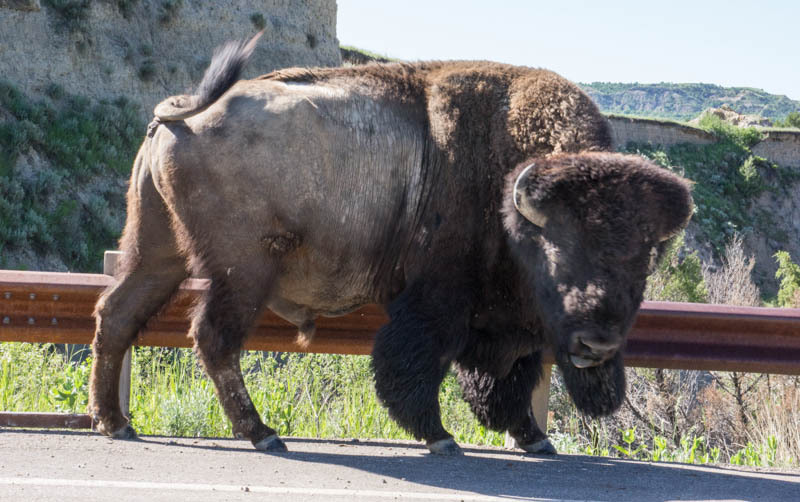 As we traveled down the western edge of the state, we saw two different realities. From Williston south, ND is about trucks. I guess it's the oil industry and newfound energy sources that are driving a boom and the hauling that goes with it. 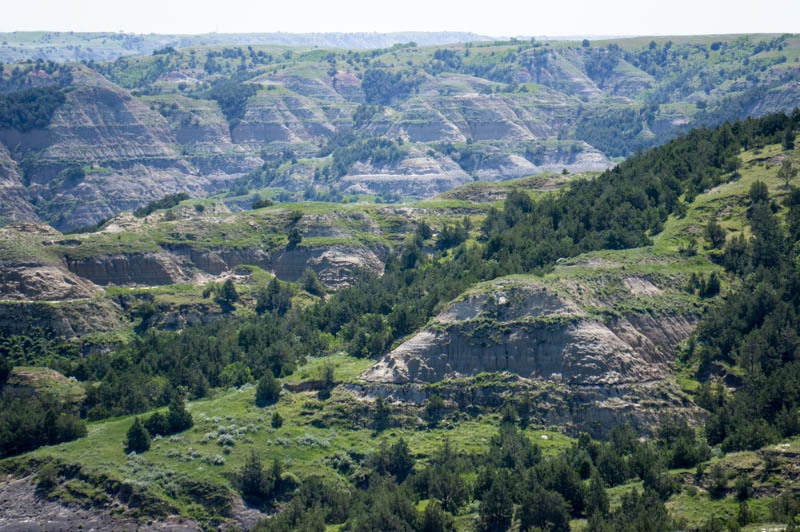 We headed for the Theodore Roosevelt National Park -- the NORTH Dakota badlands. The other reality. We weren't at all sure what to expect, but were delighted with the eye-popping beauty of it all. We stayed in the north section -- traveled 14 miles in, then back. The bisons were our favorites. Signs warn that they are dangerous, so we took the photo above from our car window. In the afternoon we visited the south area of the park -- a little more touristy, a little more crowded, and suffering from road construction delays. Still, the vistas were breathtaking. 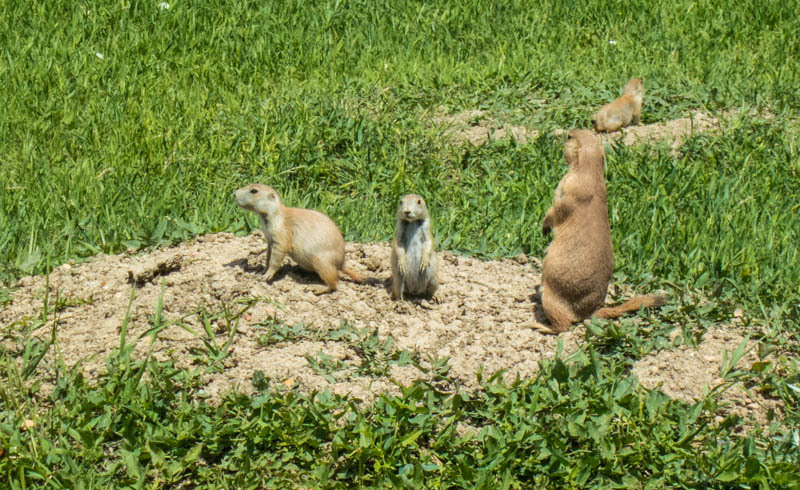 Our little piece of delight at the southern section was happening upon the prairie dog town. The little fellows gave us a laugh. The park was so gloriously peaceful -- all wind and seas of grass amid the titanic geological formations. I could have done without the subsequent two-hour drive on the interstate to Bismarck, but that's life on the road, I guess.